The Millennial Generation needs to be reached with the gospel just as much, and no more than, any other generation, but they have to be reached differently than the way we have been reaching people from generations past. We distrust institutions, like the church. We are wary of anyone and anything that is too polished, which means we look for authenticity. We live to be connected, and connection means more than meeting once or twice a week. Access to information is our standard of intelligence, meaning the more you give us, the more we respect you. Yet, in spite of (or as a result of) our access to massive troves of information, we are swayed by soundbites, tweetables, and memes – not sustained arguments. These are some of the standard facts of our existence. And, pastor, this is the landscape of your mission field, since 30% of us report no religious affiliation whatsoever. I have seen a lot of hubbub recently which points to one major issue pastors must address if you want to reach Millenials: the Nature and Authority of the Church. There are many other issues which need to be worked through as well, but our distrust in institutions, like your church, make this one very important. We need good, pointed teaching to help us work through our feelings about both the local church in our city and our place in the universal church under Christ. I think these answers will require more work, thought, and biblical application than will fit into a single blog post, but I want to provide a road map for the pastor who wants to walk with Millennials towards a healthy, Biblical understanding of the Nature and Authority of the Church. My suggestion is that you begin walking down this path of discipleship, leading people to grow in their understanding and faith in each of these categories. 1. Biblical Literacy – Millennials know, or can know, everything the Bible says without ever reading it once. I would dare say a large percentage of digital natives interact with the Bible almost exclusively through a third party, whether that party be an online commentary, Googled question, or favorite podcast. Some of us consider ourselves armchair theologians, but few of us are committed students of the Bible. If we want Millennials to understand and love the local church, respecting the authority God established therein, we must train them to read and love the Word of God as their ultimate authority. Practically, you should have small groups set up in your church to lead people in reading and interpreting the Bible. Again, they should not be reading and studying about the Bible, they should be reading and studying the Bible. 2. Cultural Engagement – A large percentage of Millennials report that the church’s cultural engagement is divisive, and they do not understand why or how the church should speak to culture at large. Some say the only way forward for the church is to pull back from those issues in the culture. I think there is a lot of nuance and terms that need defining in this conversation, but ultimately, I think Christ calls his church to engage culture in a more constructive manner than biting our nails in hopeful anticipation that someone will let us speak to them about God. Pastor, it is your job to demonstrate how to engage culture as you teach others how to engage culture. Practically, consider reading H. Richard Niebuhr’s classic, Christ and Culture, in order to establish your own position on how we are to engage. Secondly, as you preach, give illustrations from the pulpit that stem from your own experience engaging with movies, books, baristas, waiters, believers and unbelievers. 3. The Nature of the Church – In my personal experience in ministry, there are a lot of believers who know just enough about this topic to be very dangerous. Are you part of a church or are you the church? Young people bat around the distinctives of the universal and local church like a three year old swinging at a pinata: lots of swinging, little in the way of precision. Pastor, it is your job to lead your, now, Biblically literate Millennials to answer three questions: 1) What is the universal church, 2) What makes and marks a local church, and 3) Are both necessary for believers. Help your young people answer these questions for themselves. Practically, I would suggest you implement a church wide study on the topic of the church, your church, and your vision for your community. In my experience, a lot of the bluster and fluff about living as the church disappears when you start pointing out what the local church actually accomplishes in their community. 4. Authority in the Church – I think the other steps are necessary prerequisites to establishing the authority of the church in the life of the believer. 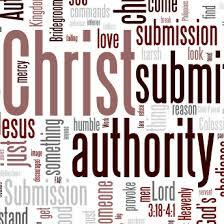 For the Biblically illiterate believer, any argument for authority is coming from the one in authority. But a Biblically literate believer will be able see the pastor speaking not from his bully pulpit, but from the authority of God through His Word. Most Millenials will need to understand how and why the church should be involved in civil issues like abortion, social justice, the civil rights movement, and the abolition of slavery, but this will again require Biblically literate believers to understand why those issues are Christian issues. Once these hurdles have been crossed, young believers will need to have a clear understanding of the role of the local church in order to bring themselves under authority of the elders in place in that church. It is at that point your role becomes most critical, pastor. It is your job to ensure the next generation of believers learns to submit themselves to God ordained authority. For if we cannot submit ourselves to earthly authority as young men and women, how will we lead the church in the future, and, ultimately, how will we be given authority in heaven? And that is the ultimate reality – we will one day rule as coheirs with Christ. It only seems natural that we should learn to rule as Jesus did: in full submission to the Father, in service of others. I fear my generation is instead looking to be served, submitted only to their own desires. Pastor, we need your help.